The most rural region in the northern part of the island, the municipality of Sant Joan de Labritja (also known as San Juan Bautista) is among the most privileged locations where nature is found at its finest and for this it is much loved by residents and visitors. 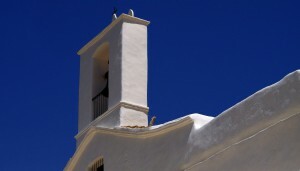 Sant Joan de Labritija property market consists mainly from villas, country houses and fincas in typical rural style. An average price for a house is around Average price per sqm. in Sant Joan de Labritja (Municipality) €23,052 0% properties#: 87 last change on: 23 Apr 2019 €23,052 per square meter, while for an apartment the average value is currently Average price per sqm. in Sant Joan de Labritja (Municipality) €3,169 0% properties#: 15 last change on: 23 Apr 2019 €3,169 . For investment opportunities, you can expect Average price per sqm. in Sant Joan de Labritja (Municipality) €4,670 0% properties#: 6 last change on: 23 Apr 2019 €4,670 . Thanks to the local topography and nature, properties in the area provide a number beautiful views. There is a premium value on the top of the average selling price for a house with a sea view position. The most active real estate agencies on Sant Joan de Labritja property market are Luxury Villas Ibiza with more than 20 listings in 2017, followed by The Agency Ibiza and Ibiza Properties for Sale. Why Sant Joan de Labritja property? It is the least-populated region but is recognised for its vast natural area and wildest landscapes. Here you find unspoilt woodlands, fantastic flora and fauna, magnificent cliffs and the most natural and abrupt coast. Most part of the municipality is protected which makes it a perfect location for a countryside getaway. The Municipality consists of five areas: Sant Joan, Sant Vicent, Sant Llorenç, Sant Miquel and Portinatx. All of them are small but well-known resort villages where locals live alongside people from all over the world who have chosen this charming rural part of Ibiza as their residence. 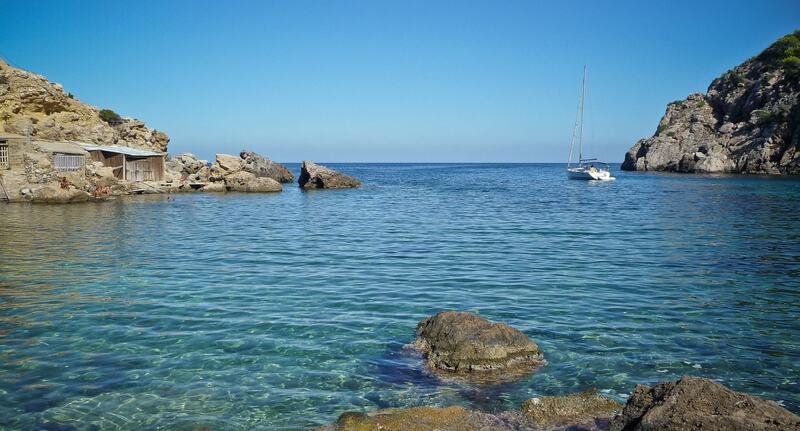 Within the long stretch of the coast of the municipality of Sant Joan, you find many quality and beautiful beaches. The most favoured beaches are in Cala Portinatx, Cala de Sant Vicent and Port de San Miguel, offering excellent services. Additionally, there are also plenty of lovely natural coves to enjoy the beauty and tranquillity. You’ll find many unique spots such as Caló des Multons, Cala Xarraca, Cala d’en Serra, S’Illot des Rencli, and Benirrás, which became famous because of the hippie ambience and sunset drumming. The Municipality shares with Sant Antoni an area of Es Amunts, which is announced as a Natural Area of Special Interest. This place has a high environmental value, known for its unique flora and fauna. This stunning landscape offers spectacular routes to be walked, leading you to the defensive tower of Balanzat, underground caverns of the Cova de Can Marca, filled with stalactites and stalagmites, and the ancient archaeological site of the cave Es Culleram’s, which hosts the most important pieces of the Phoenician past.